Playerunknown’s Battlegrounds, or PUBG, is a popular survival game in which players parachute down to an island trying to make it to the end within a game area that is constantly getting smaller and smaller. Around the map, one can find different equipment and vehicles that can be used to one’s advantage in this virtual John Rambo adventure. A single match can have a hundred players in it and some of the maps are as big as documentation regarding the waterfall model. 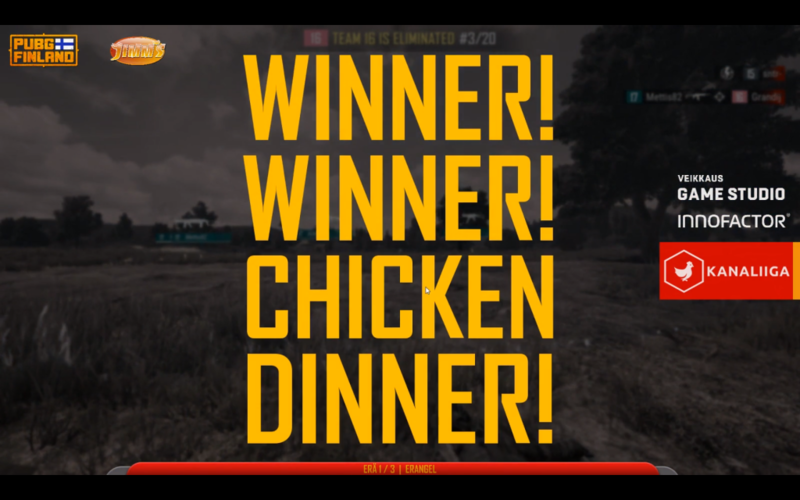 To the winner goes the virtual chicken dinner. 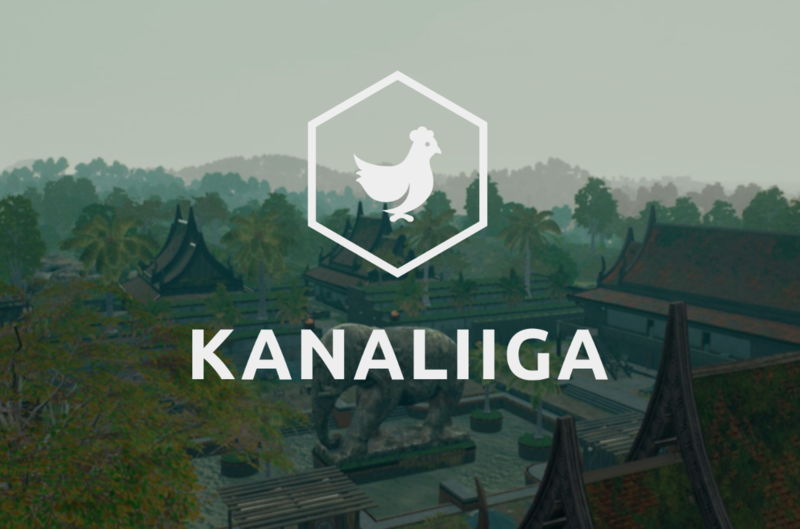 Because “not everyone wants to play floorball”, this autumn an eSports tournament series called Kanaliiga formed around company PUBG gaming. You can find the community’s web page at: www.kanaliiga.fi. Mobile software development’s professional information agency Punos Mobile has been in the action since the very first tournaments and some time ago we also joined in as an official sponsor because we sense that this will be the next big thing! Kanaliiga is constantly evolving and they are adding to their game roster the first-person shooter legend, Counter-Strike: Global Offensive. Our thanks to the organizers of Kanaliiga and all of our tournament rivals! Today, at 8 pm, our four-person PUBG team will duke it out against 17 other teams in Kanaliiga Squad #2 finals. Before this our squad cleared the 60 team pools almost in a show-like manner, facing teams from corporations hundreds of times bigger than us. Because people like working with us for the long-term, over the years we have perfected our team communication, that could also be called “banter”. 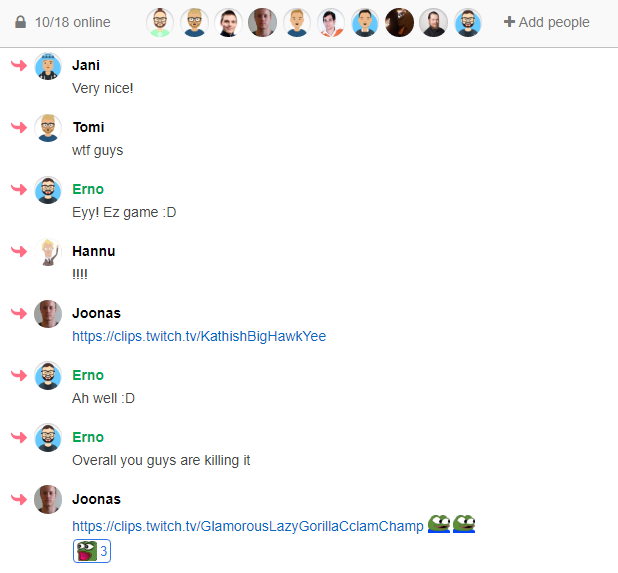 In our squad, we have members from both our Helsinki and Kouvola offices and many of our employees followed the qualifiers via the organizer’s Twitch stream featuring quality commentary. The team had trained a couple times a week during their free time and a part the team have further refined their abilities during a Finnish cabin trip, the other part while taking care of sick children at home. That is why everything seems to be more than in order! Now, Hannu requires additional team members so that we can gather up another team. If you think that you would be the perfect fit for our squad, contact Hannu: hannu.alakangas@punosmobile.com, +358 45-8750707. We are looking for team players that want to understand the business operations of our customers, are able to communicate the proper configurations for both the customer and the team and understand mobile development (iOS – Swift, Android – Java/Kotlin, React Native). Our business consists of offering B2B clients first-class mobile development know-how, guided by a strong understanding of their business. This means, among other things, that not a single line of code will be written before we understand the business goal that the code is meant to solve. Sometimes the solution can also be something completely different than changes to the code. Technical matters are always solvable, it is more important to understand how the business side works. We offer perfectly ordinary benefits and a normal wage. We believe we are super duper great in terms of our team spirit and job satisfaction. You will also get your very own workspace, as we do not believe in plain open offices. Best of luck to everyone for tonight’s matches! The Punos Squad is prepared.